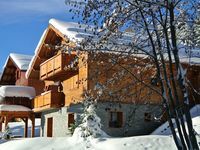 Property 6: Chalet 'The NIELARD' dulpex "the Lanchette"
Property 28: Authentic house, combining the warmth of wood and mountain stone. fantastic place for a family gathering! Chalet was really lovely with plenty of space for everyone. Great sunlight and fantastic views across the valley and mountains. 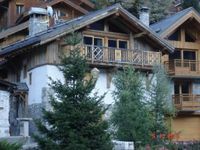 Chalet is very well equipped, location is great for skiing as t&eacute;l&eacute;ski just down the slope. Club piou piou just 10mns down the slope or 2 mns by ski! Only thing to mention for snowboarders is the 2 compulsory tire-fesses to access Valmorel domain, so easier for skiers. We were lucky enough to see some snow storm and the morning after was like in a fairytale! highly recommended!